St. Matthew’s Episcopal Church began as a Sunday school in 1890 serving the spiritual needs of those who lived in what was then a sparsely populated area of Charleston known as South Hills, located across the river from downtown Charleston. We believe there is One God who creates all things and redeems us from sin and death. We follow Jesus Christ as our Savior and Lord. We believe that the Bible guides our Christian faith. Our services follow an order found in the Episcopal worship book, which is called the Book of Common Prayer, and includes prayers, a reading of Holy Scripture from the Old and New Testaments, a sermon and communion. "God calls us to be a Christ-centered community, equipping and enabling ourselves to minister in the power of the Holy Spirit, so that people are drawn to Christ." 8 a.m. – Holy Communion, a spoken service in more traditional language. 10:30 a.m. – Holy Communion, with choral music and contemporary language. Saturday Casual Worship is held on the 1st & 3rd Saturdays at 5PM in the church nave. The dress is casual. This is an instructed Eucharist so bring your questions and your curiosity. 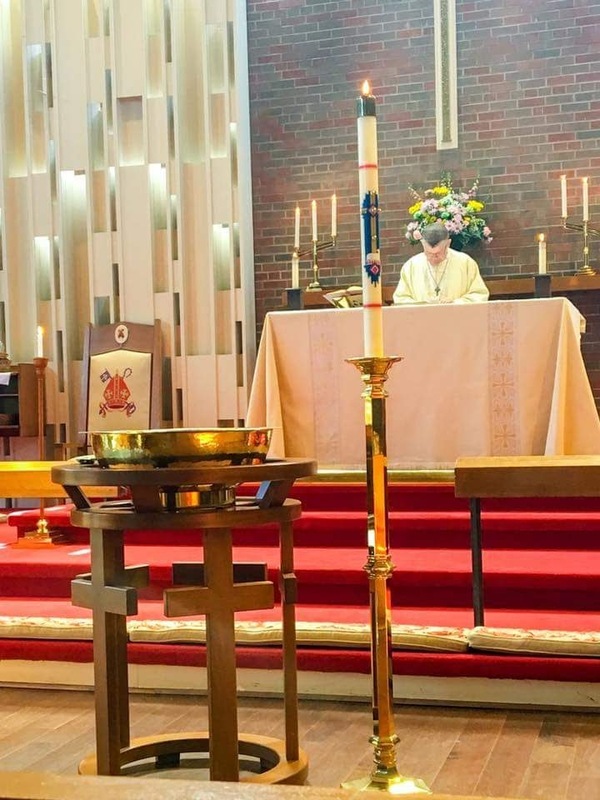 Our services follow an order found in the Episcopal worship book, which is called the Book of Common Prayer, and includes prayers, a reading of Holy Scripture from the Old and New Testaments, a sermon and communion. The service encourages everyone to participate. All baptized people are welcome to take Holy Communion. You will be welcomed – please feel free to ask questions. You will be given a service leaflet that will help guide you through our worship. The service includes standing, sitting and kneeling. During Holy Communion, we come to the front of the church and kneel before the communion rail. You will find a diverse group of congregants from young to old and single to married. Some congregants will be dressed up and others will not. Please wear what is comfortable for you. Please stay after the service and join us for coffee and fellowship in the back of the Nave. There is parking in the lot directly beside the church and accessible either from Bridge Road or Norwood Road. There is additional parking in the lot of our parish hall, located across Norwood Road from the church, and on Norwood Road itself by the rear of the church.